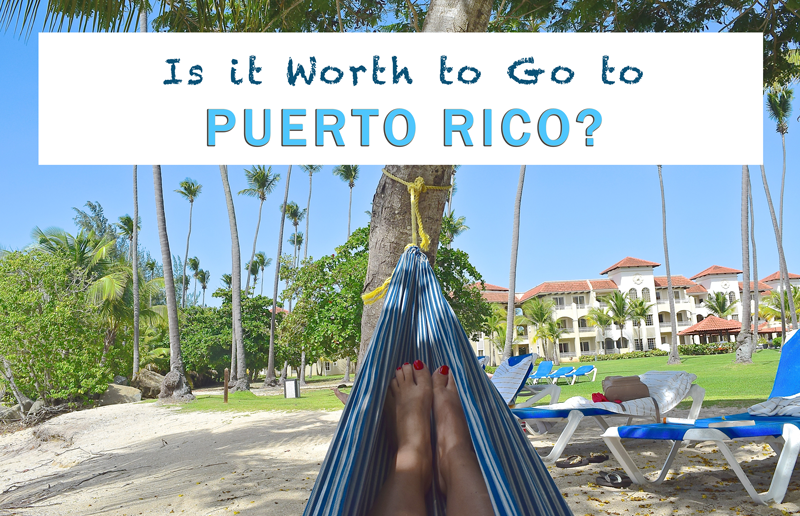 Is it Worth to Go to Puerto Rico? The first question I got after coming back from this Caribbean island was: "Is it worth to go to Puerto Rico?" "Oh aaammm, let me think." I replied. I realised for myself that I needed some time first to get an answer to this. After a while I said: "Honestly speaking, it is worth it, yes, but don't expect too much. I'd rather say, it has yet unused potential!" Yup, that's my opinion. 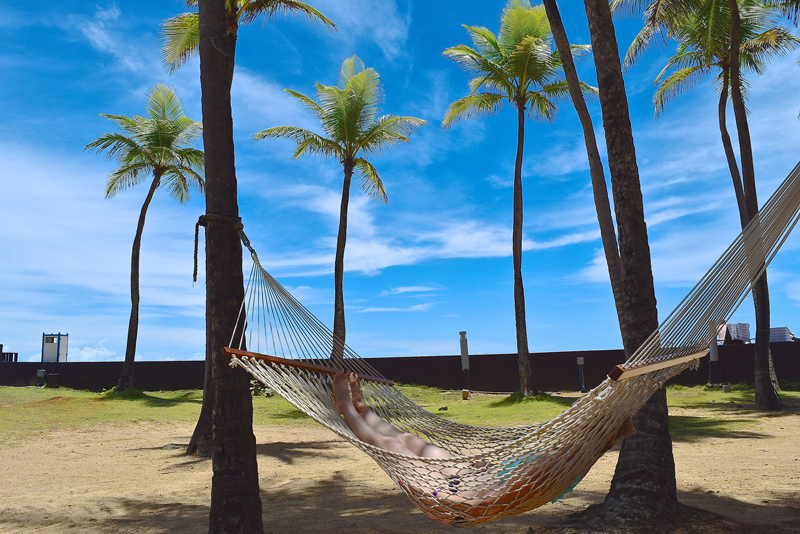 In the blog post below, I will give you an insight of the positive and negative things on vacationing in Puerto Rico and tell you, where I see the aforementioned potential to become even a better travel destination. But first, you probably need an answer to the question: Is it worth to go to Puerto Rico? 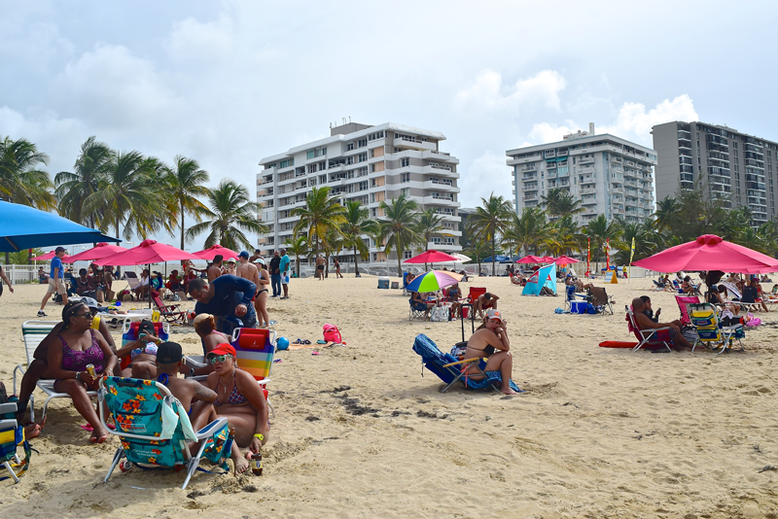 So, here is an overview of the good and not so super good things of vacationing in Puerto Rico (please note, this is according to our experience, only). One of the sights, which made quite an impression on us, was the majestic San Felipe del Morro Fortress, located at the seafront in San Juan. 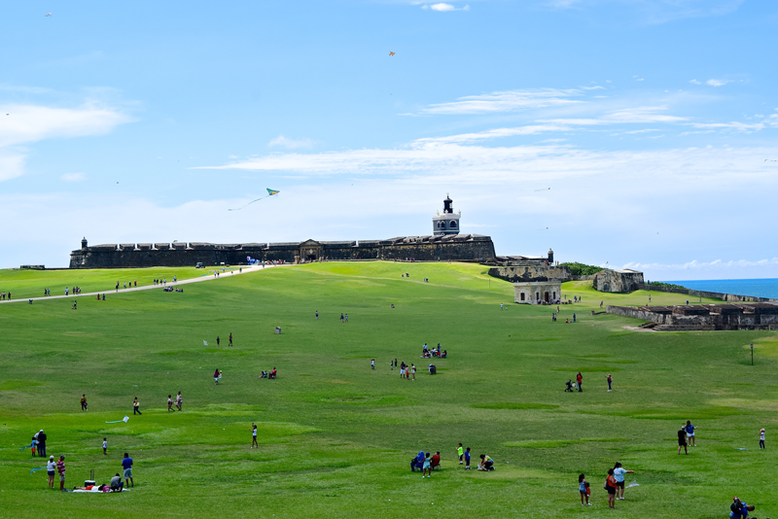 The fortress, built in the 16th century, was attacked three times by the Americans during the Spanish-American War in 1898. Nowadays, it is not only an interesting sight from outside, it is also a meeting point of many locals, especially families. Nice! 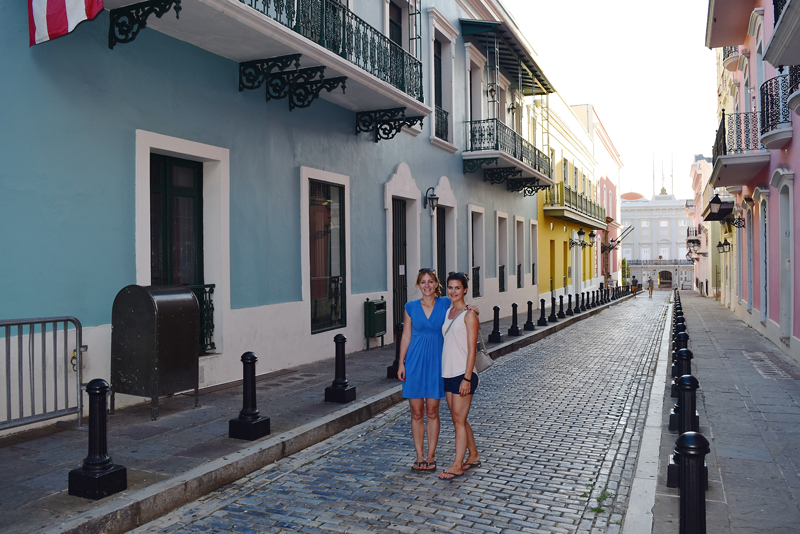 Thumbs up for the old town of San Juan. 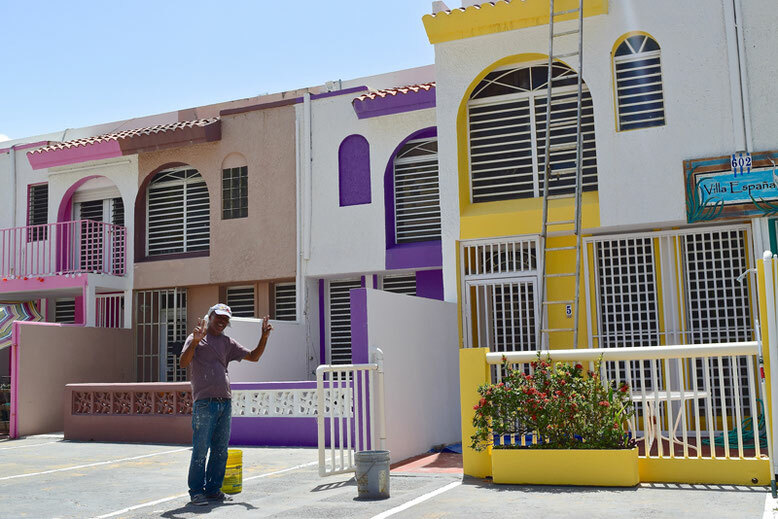 It's just a colourful place with a great laid-back atmosphere. The streets during the day and night are full of locals, enjoying their time in the bars and restaurants San Juan has to offer! Also small shops with the hand-made jewellery make it worth to visit this part of the city! Mmmmm.. that is a good reason to come to Puerto Rico! The beautiful and outstanding Luquillo beach. 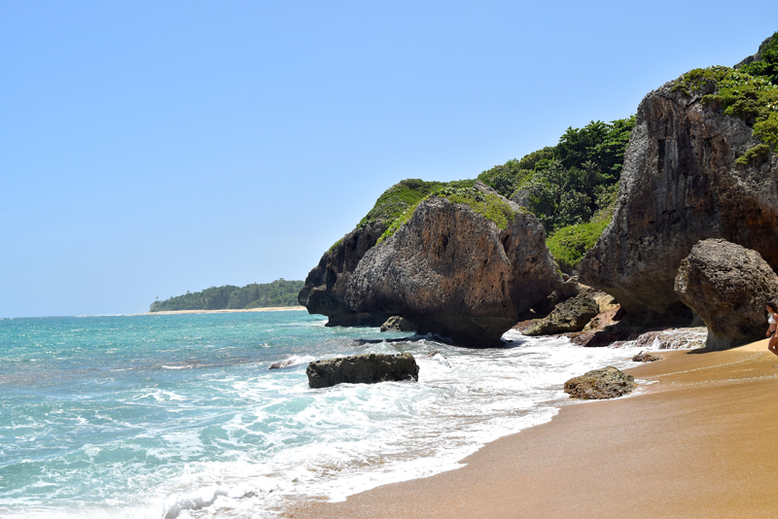 One of my favourite beaches on the island! It comes with a remote touch, it's not crowded at all, the beach is clean and the water is more than tempting to plunge in! If you have the chance, find a place to stay nearby. Try the following accommodation options: Del Mar Eco Lodging Apartments, Modern Ocean View Apartment Sandy Hills or Sunrise Beach Inn Hotel. There is another beach which made an impression on us. 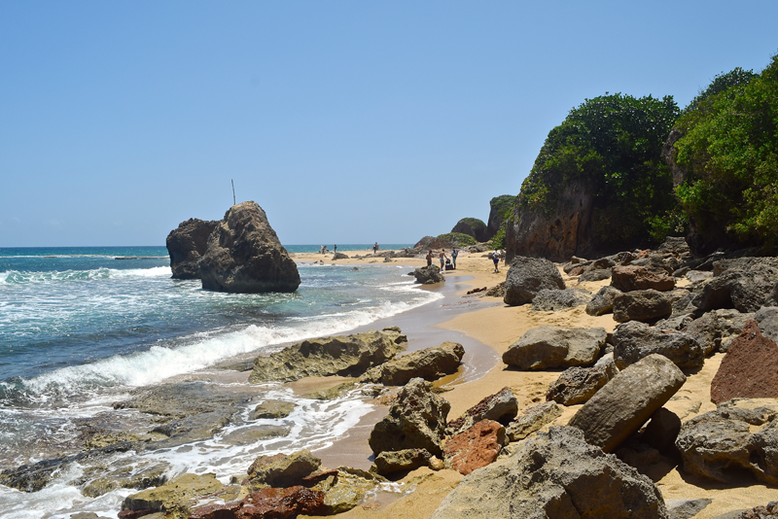 It's near the town called Aguadilla and goes by the name Cueva Survival Beach. The majestic boulders on this sand beach, the turquoise water and simply its remoteness are more than appealing. Make sure to head to this spot when in Puerto Rico! 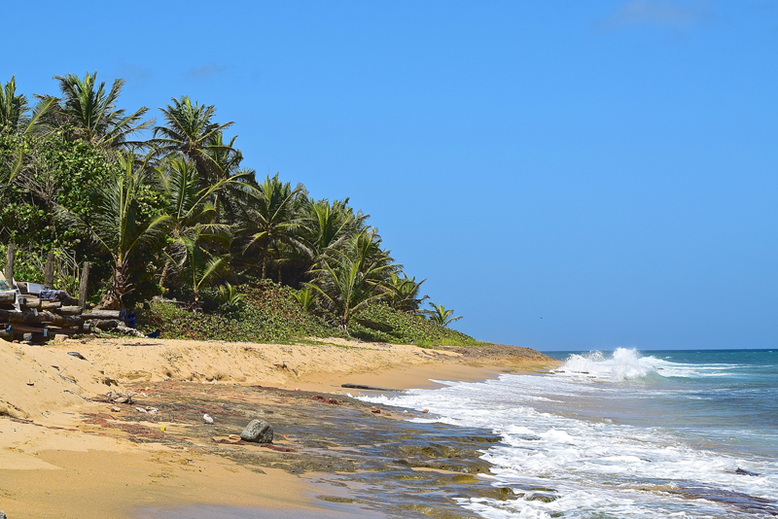 These two islands should be on your list when planning a longer vacation in Puerto Rico! From the mainland, there are daily flights and ferries to both of the islands. 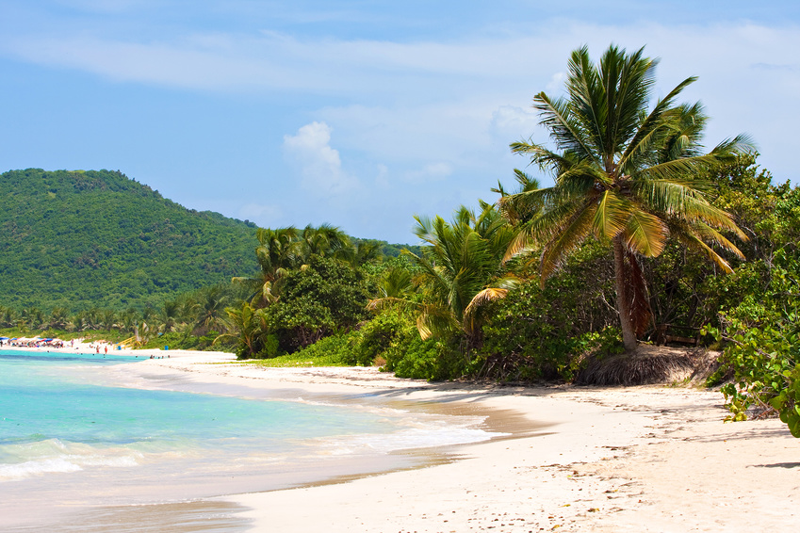 The Culebra island is quite a remote island and is rich in wildlife - it is also called the Snake island! Oh oh :) Indeed, there are many sorts of snakes here. But this island has a beautifully coloured water too and the gem are its beaches! The most famous one is the Flamenco Beach. 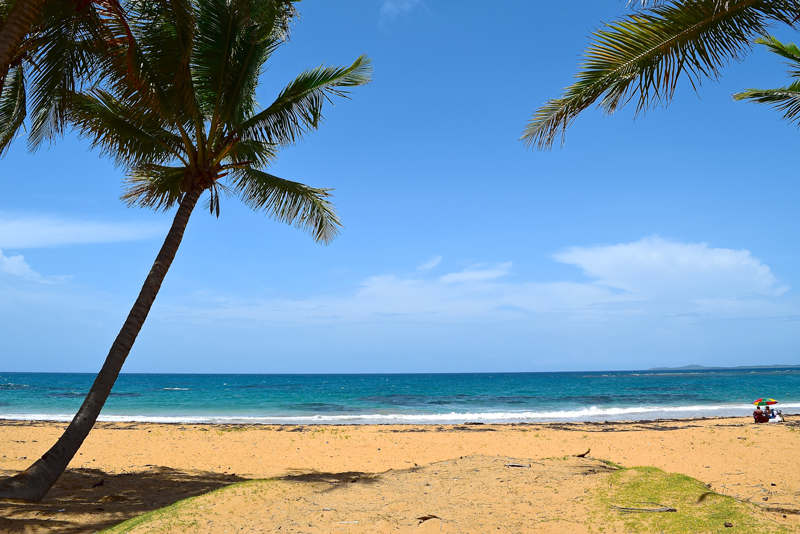 Then, there is the Vieques island, known for its huge array of cool adventure activities, such as snorkelling, diving, kayaking, fishing, hiking and horseback riding. Pick one of the islands! 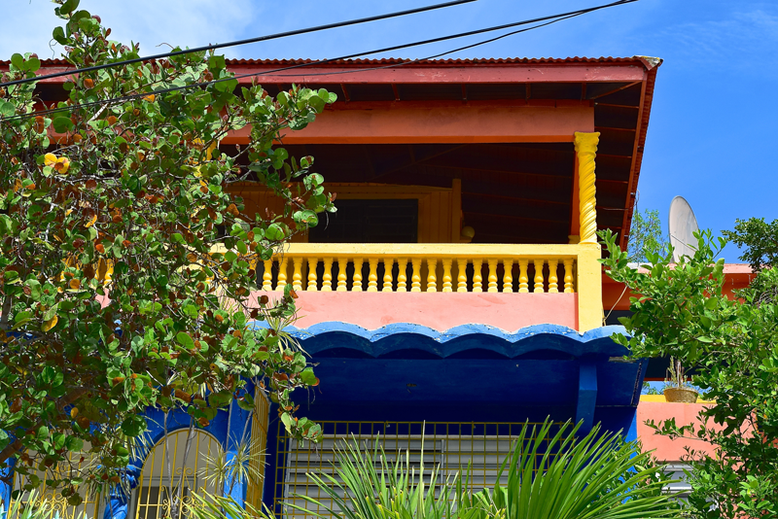 I am mentioning this accommodation option separately because I think checking into the Tamboo Guest House in Rincon is almost a must do when in Puerto Rico. Well, maybe not for some seniors or a big family, but definitely for youngsters! I am saying this because it can be a bit loud on the weekends - there are parties right at the hotel bar with DJs etc. (which is cool for those who like it!). 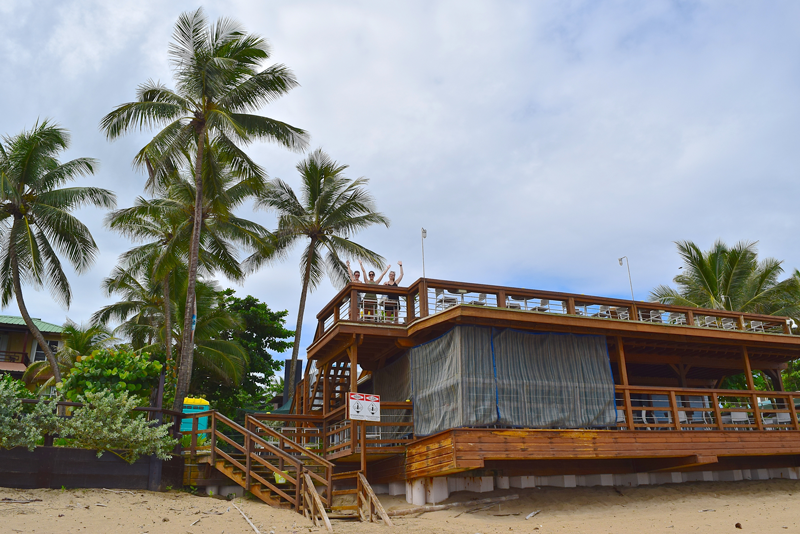 This guest house is right on the beach, with some cool activities to do like stand up paddling (we did it! ), surfing or boating. The food at the hotel's restaurant is delicious, and this is well-known among locals too, so it is also a social hub for Puertoricans! 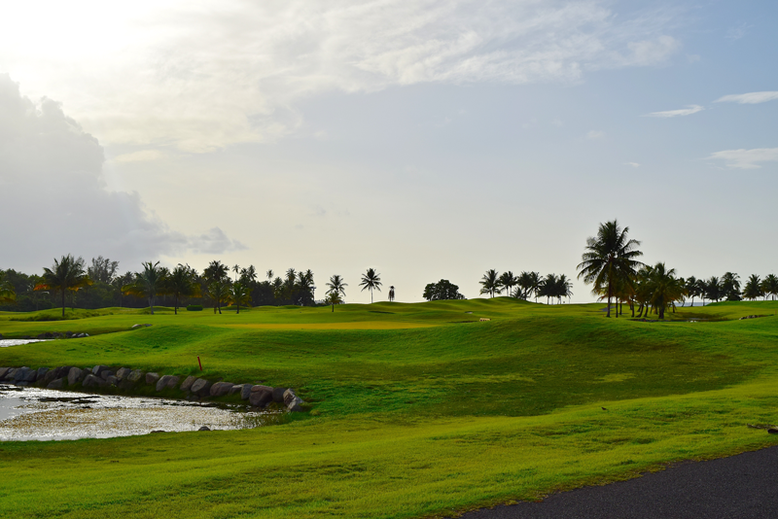 Golfers, Puerto Rico must be on your bucket list! By passing all the well-maintained and lovely decorated golf courses, it gave me the idea that it must be a paradise for this sport. Obviously, I didn't try it as I have never played golf in my life (ammm, am I missing out something?). 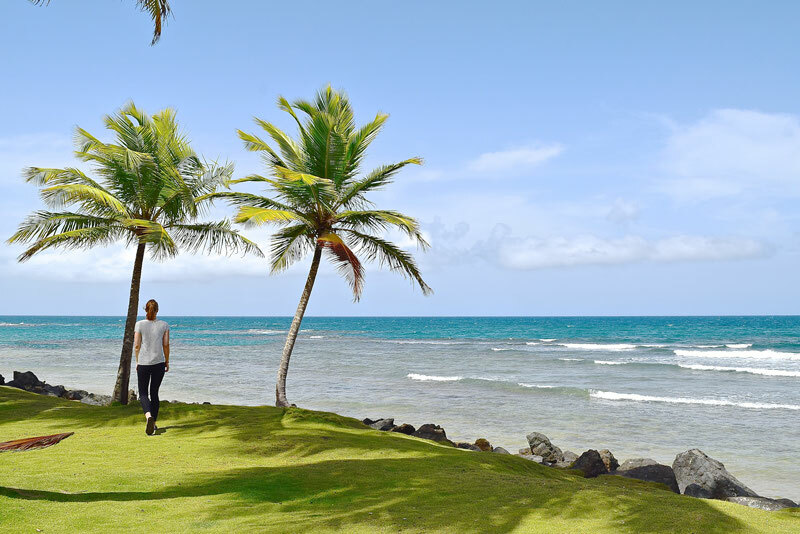 By the way, if you are wondering where this amazing golf course can be found - it is a part of the Melia Golf Resort in Rio Grande, which is also a recommendable place to stay! 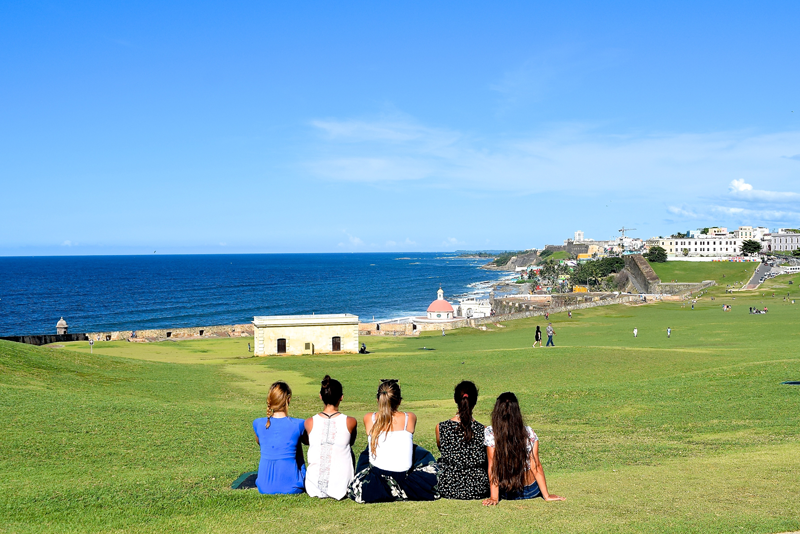 Puerto Rico makes it a lovely travel destination for a funny and crazy girls' trip! 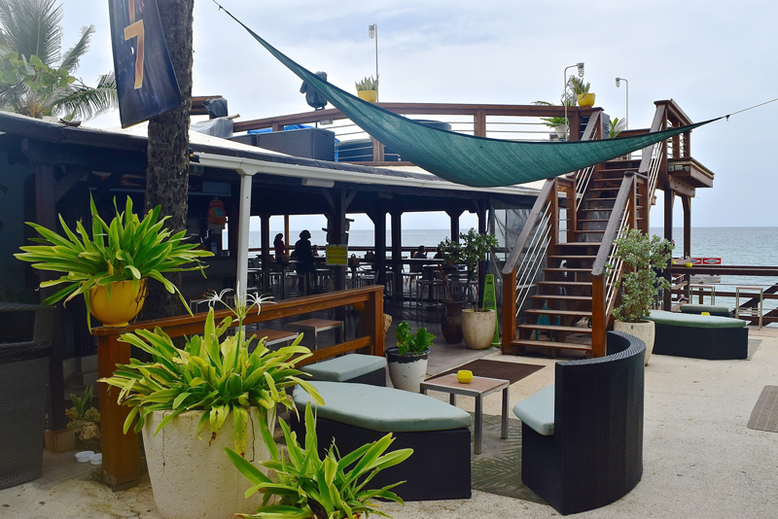 It has all: great food, tasty cocktails, an awesome nightlife, pretty beaches, lots of sunny days and hey it's so easy to come around the island by a car. The only thing that goes into the negative section are the high prices! I had some "myhammocktime" moments on our Puerto Rico trip! How cool is that! 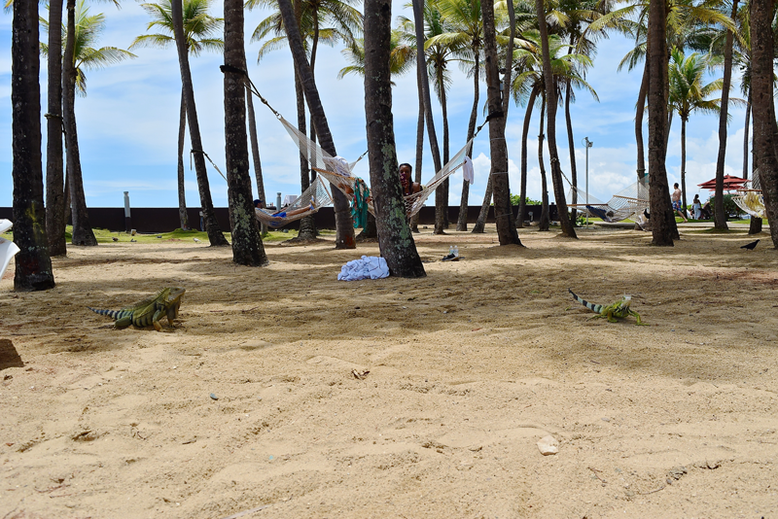 And I saw maaaaany hammocks on this trip! 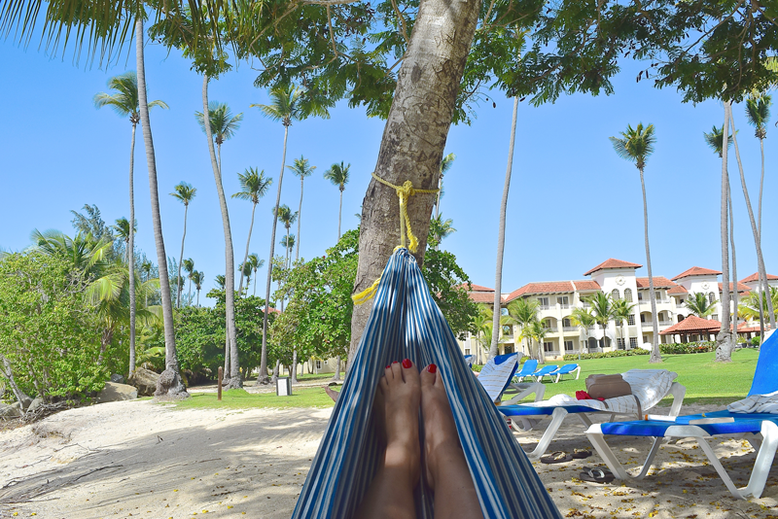 A whole hammockland is, for example, at the Melia Golf Resort and at the Caribe Hilton Hotel in San Juan. 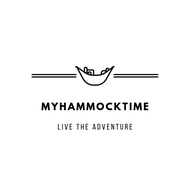 But I guess, hammocks are everywhere <3 You don't like hammocking? Well, than pass to the next section. 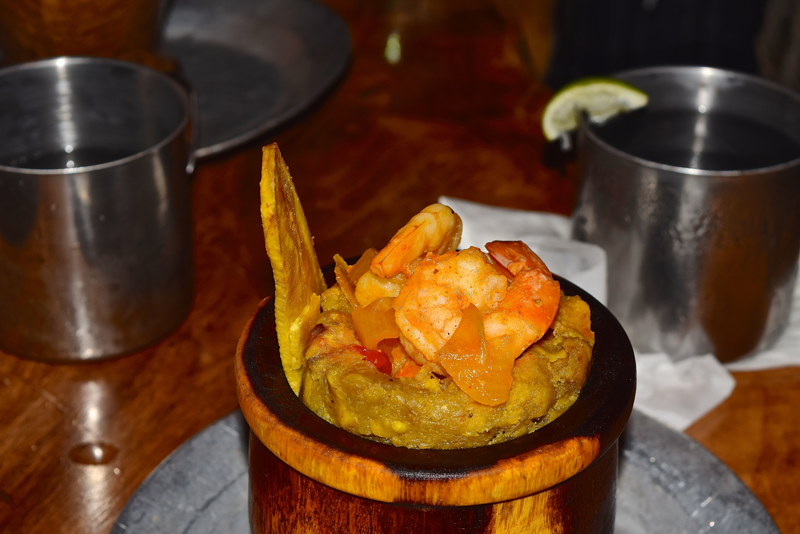 Thinking of Puerto Rico's food, I get HUNGRY!! Huh, please, can I have a vegetarian Mofongo once again? Or amm maybe that mango salad? Please?! Well, I guess no one hears me. I'd need to make it at home one day. But that one day will come. I just need green bananas for cooking. So yeah, you already guessed it, this Caribbean island is perfect for foodies! 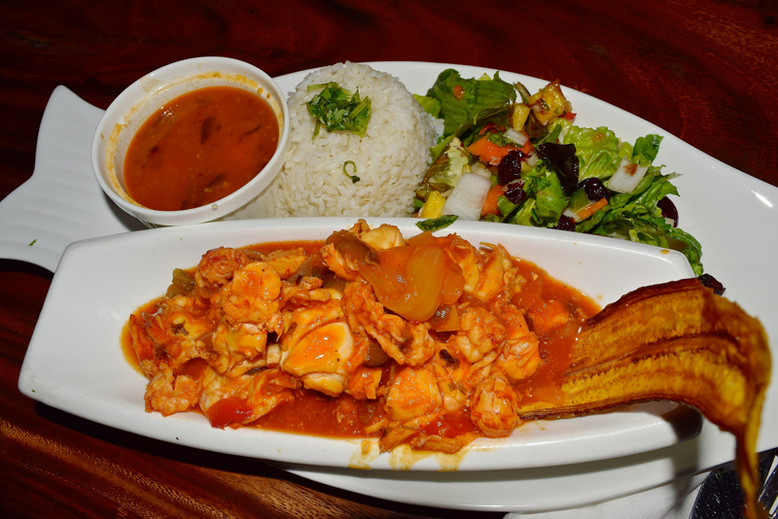 Fish in all variations, mangos, bananas, lime, rice, beans. These are probably all the ingredients you need to make a traditional Puertorican dish! Buen provecho! Imagine sitting on the beach and observing a beautiful sunset over the ocean. Rincon is a good place for that! 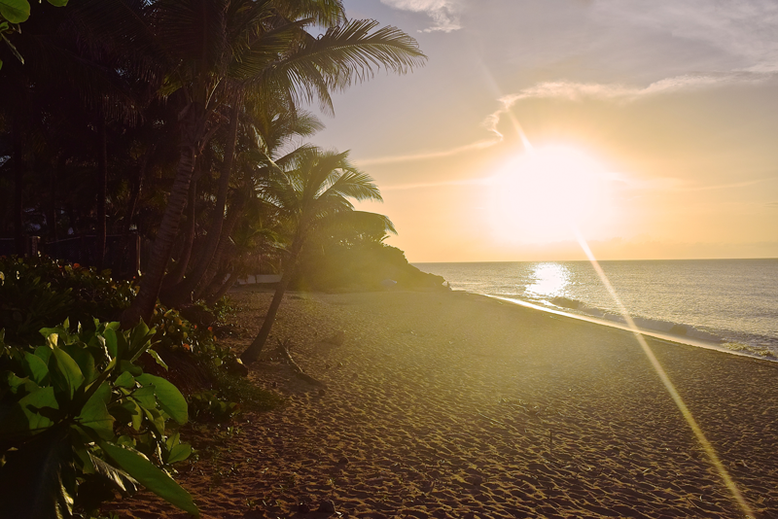 Those sunsets are magical as usual, so Puerto Rico won't disappoint you in that aspect neither. 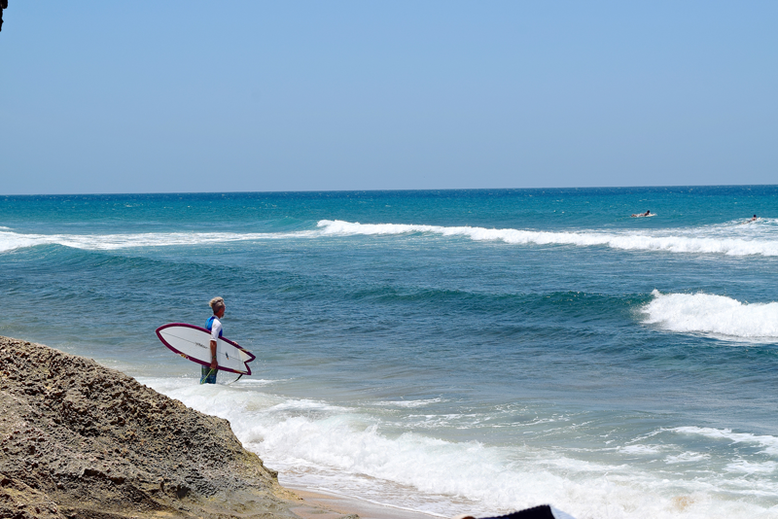 Surfing is BIG in Puerto Rico. It seems everyone has a surfboard at home. The best surfs spots on the island are probably on the west coast, somewhere between Isabela, Rincon and Aguadilla. Here is a map of all the best spots. 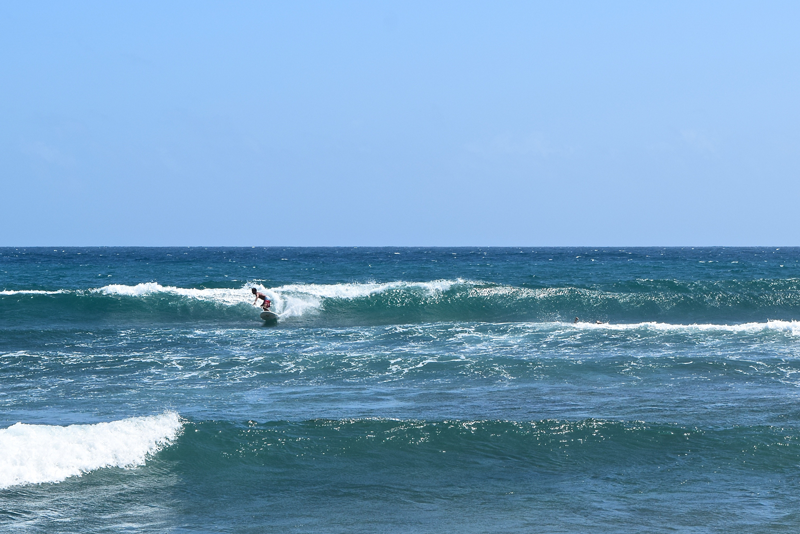 There are many surf schools in Puerto Rico, so if you want to learn this awesome sport, which I don't have any clue about, this Caribbean island is perfect for you! Boah, and here they are! Iguanas. Frankly spoken, I almost forgot they exist haha. The first time I saw these wild animals was when I was backpacking through Mexico, Guatemala and Belize. But then, going to Puerto Rico, it was basically the first day, when I saw iguanas on the beach. I remember laying in a deckchair when suddenly a bunch of iguanas surrounded me and my friends. 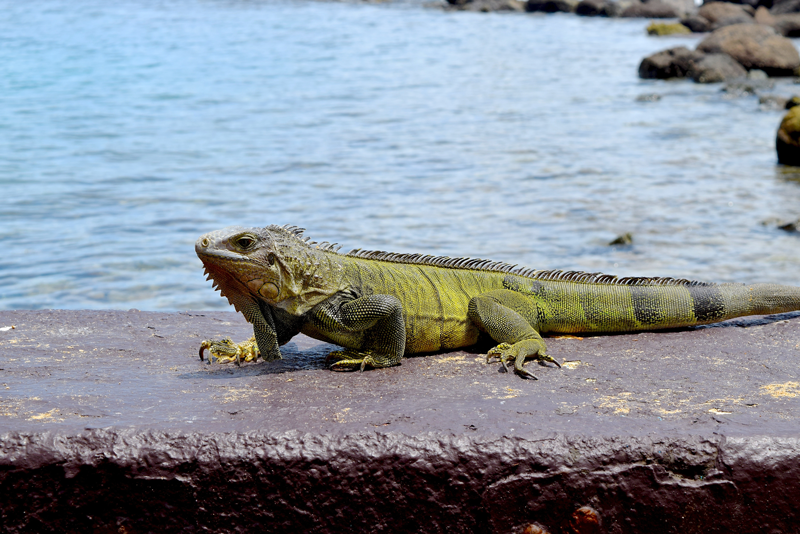 A bit scary but also funny to watch :) Seeing iguanas is one of those reasons why Puerto Rico makes it an interesting destination. Last but not least, I was surprised how friendly and helpful locals are. They were always trying to help, give directions or provide answers to our questions. 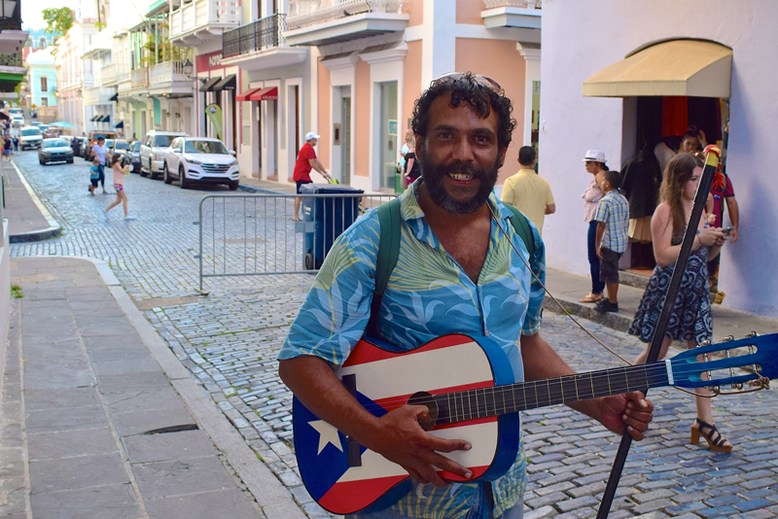 What is more, in spite of the financial crisis on the island, it seems they know how to enjoy life by spending the afternoon on the beach, singing and playing guitar, dancing to salsa in one of the bars or eating out with friends and family in restaurants. Thumbs up to that! Let's talk about the Yunque National Forest. If you are a local or you've been to Puerto Rico, you probably won't understand why I put this national forest under the "Not so Great Things in PR". And maybe I'm totally wrong. I will try to explain our experience with it. El Yunque was actually one of the stops I was really looking forward to! 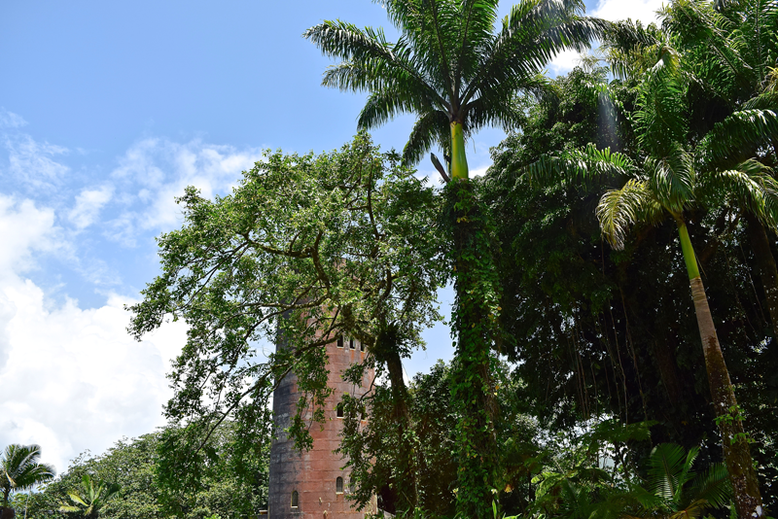 I imagined a real jungle experience, rich in fauna and flora. But instead we were walking in a queue (so many people) and, the end of this trail, which was a waterfall, was significantly overcrowded. We spent only a few minutes there. Also, we didn't see any animals or special plants along the route. So instead of leaving us speechless due to its beauty, it left us with the "yeah, well" faces. But don't get me wrong. Maybe we are already too spoilt! :) The funny thing is, I would still recommend going on a half day-trip to this forest because there are some beautiful corners out there - such as the jungle rivers and the Yokahu observation tower. I suggest to book a guided tour in the early morning hours to avoid the crowds. Ok, so that's also a part I/we didn't like so much. The overcrowded beaches in San Juan. 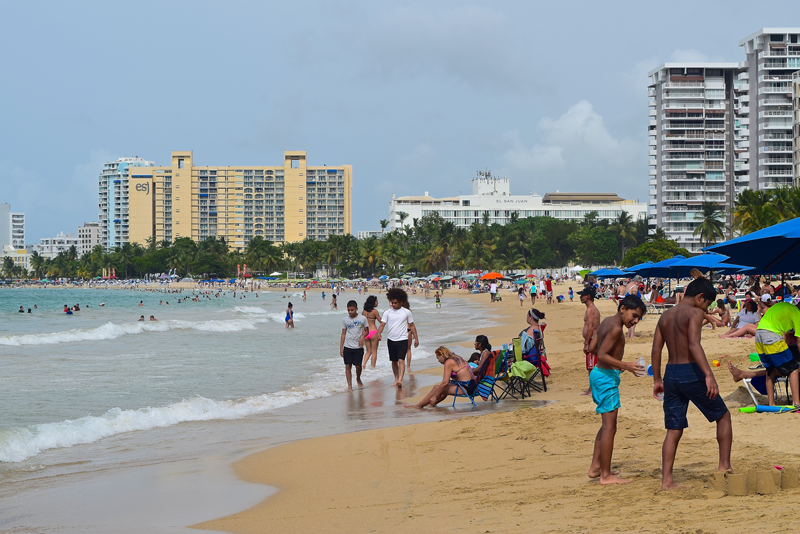 One of those is the Isla Verde beach. Basically, it's a long sand beach along a turquoise ocean, but with just too many people and with some high buildings in the back. However, I assume, this is the case in many big cities with a beach so not sure why I'm complaining :) It's not really something bad but I prefer remote beaches where I enjoy the mother nature and the tranquility! This was an adventure! Well, not so much because of the bioluminescence in the water which is a result of enzymatic reaction (a production and emission light by living organism), but because of its kayaking at night through a jungle! The kayaking was awesome, maybe a bit dangerous as well (we crashed twice with another kayakers coming from the other side of the river that goes through a jungle). And what was bad at it? Honestly speaking, we expected a water reaction like it is shown in the picture below (that is just an example), but in reality we could only see a little bit of it by moving hands under the water. 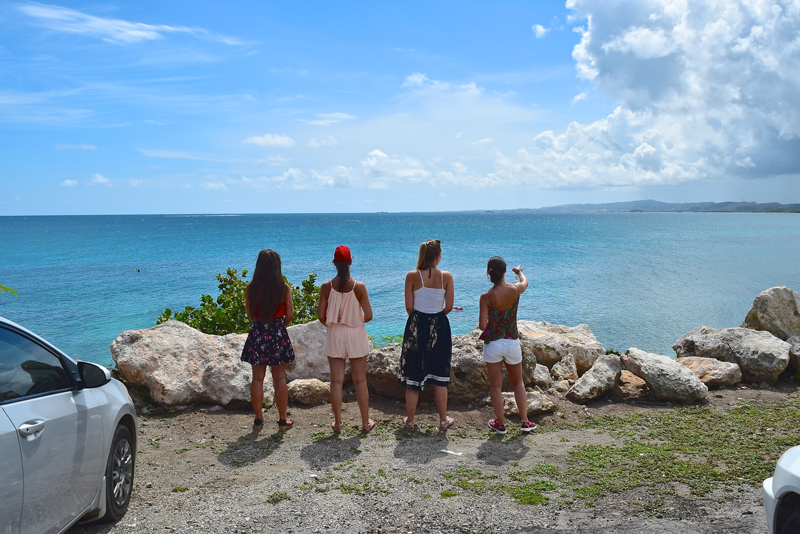 Apparently this trip is really worth it at the Mosquito Bay at one of the neighbouring island called Vieques! 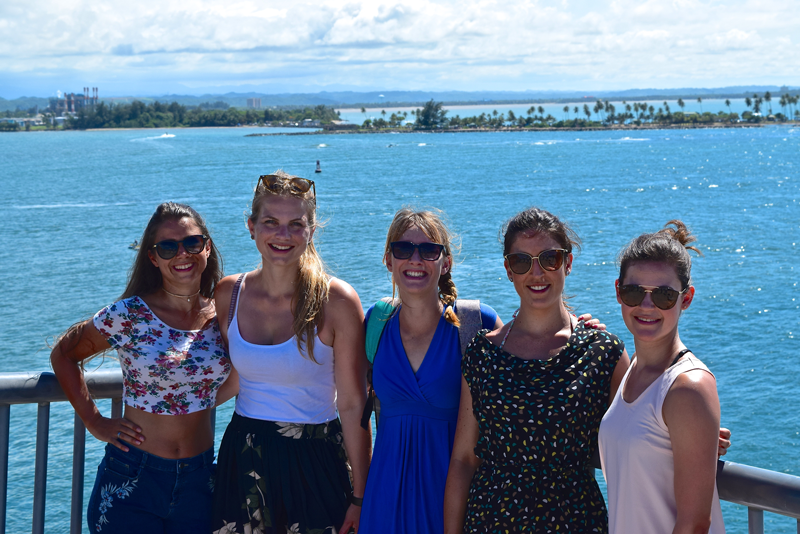 Here, near Fajardo, it was ok but not what we truly expected and for that price. 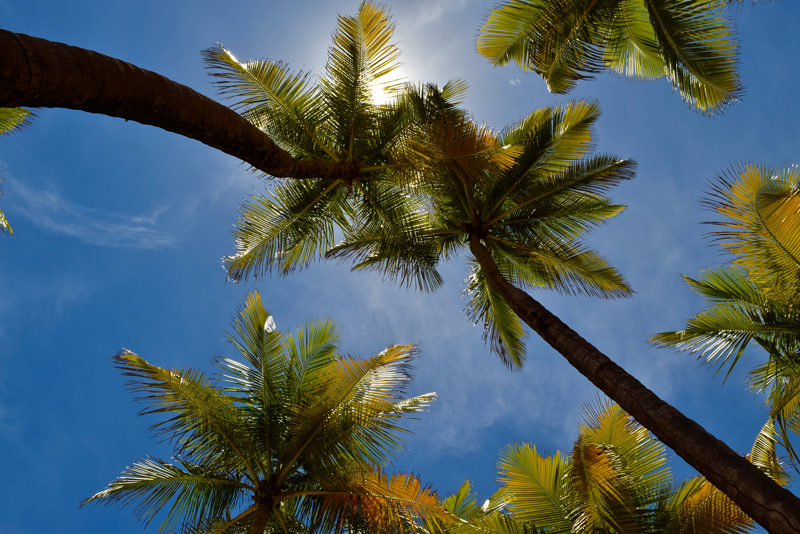 The best time to visit Puerto Rico is mid-April to June, right after the peak season and just before the rainy period. We were there in the first half of July, which was completely fine in terms of density of tourists, but it was a bit humid and hot though. Rain surprised us twice but it was just a short pouring. 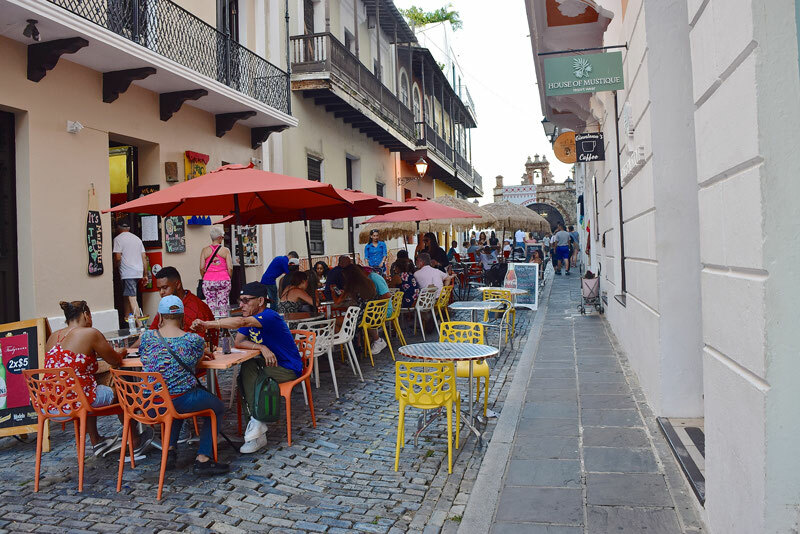 Just one word about the peak season - try to avoid this period not only for the tourist crowds but also for the wallet's sake :) Keep in mind, Puerto Rico can be quite an expensive destination. Do you need a travel insurance for your trip to Puerto Rico? 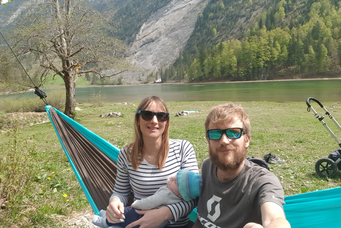 When we go travelling, we usually use World Nomads. 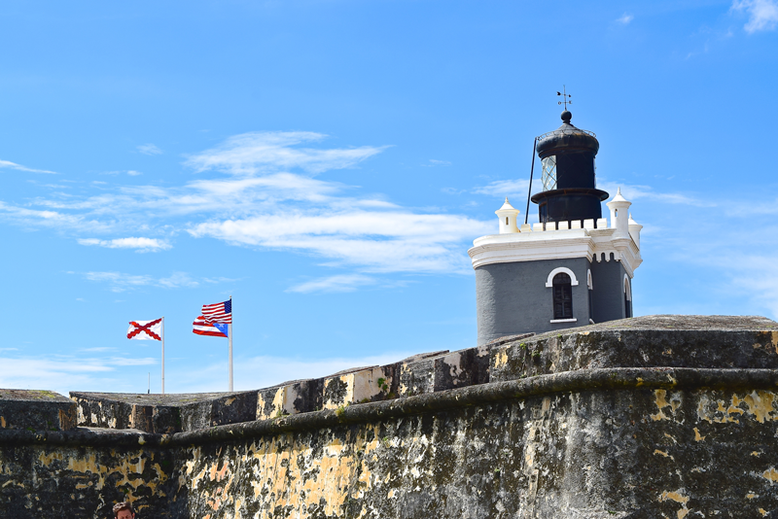 Is Puerto Rico on your bucket list? Or have you visited the country? What was your highlight? Please let us know in the comments below! Here is my reaction to your post. I may be a bit biased since I am from the island. Agree that Puerto Rico has the potential to grow as a tourism destination (a lot of work is needed in the service area). However, I do not think being "famous" like the Dominican Republic and Jamaica is the way to go. 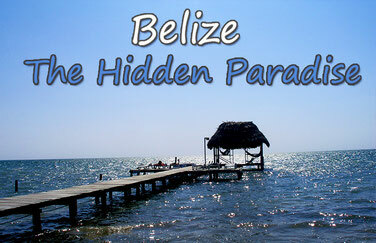 Big resorts do not necessarily improve the economy and take away natural resources from the locals. 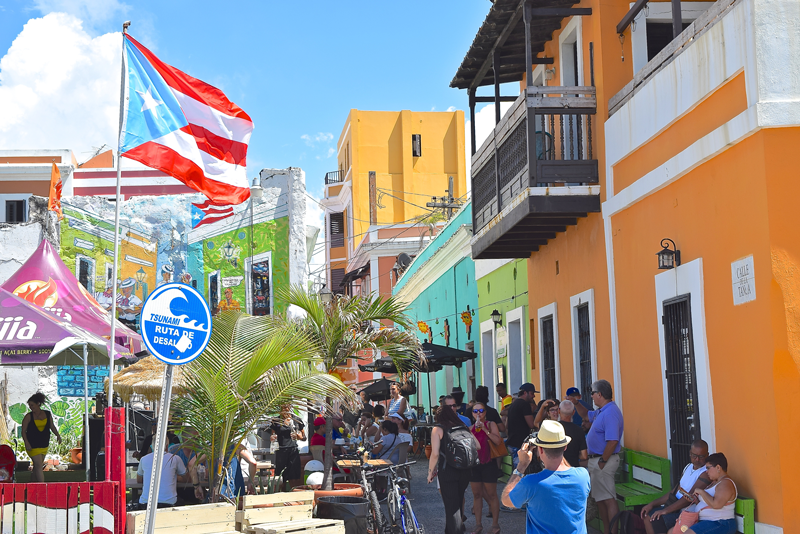 BTW, Puerto Rico is famous all over the world in terms of music, cuisine and other aspects. I have traveled to many places and people put a big smile on their face when they hear I am from Puerto Rico. I find Puerto Rican music everywhere I go, even in Iceland and China. 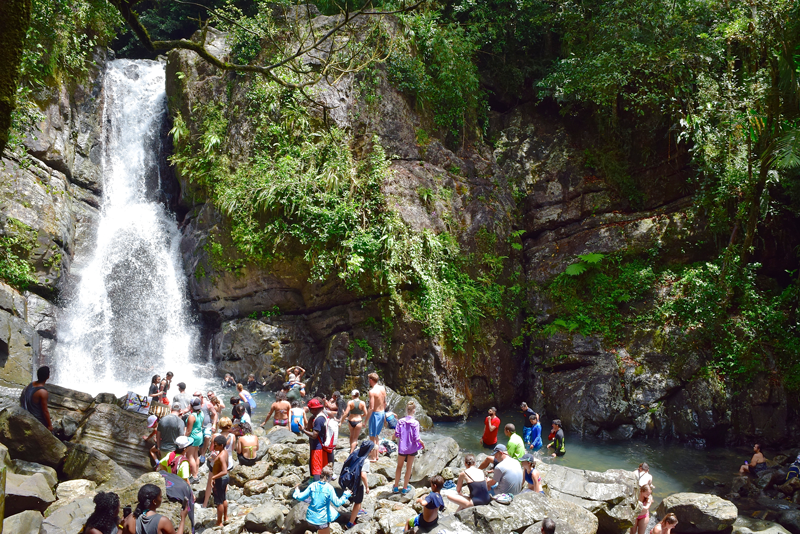 Puerto Rico does have adventure and eco-tourism. 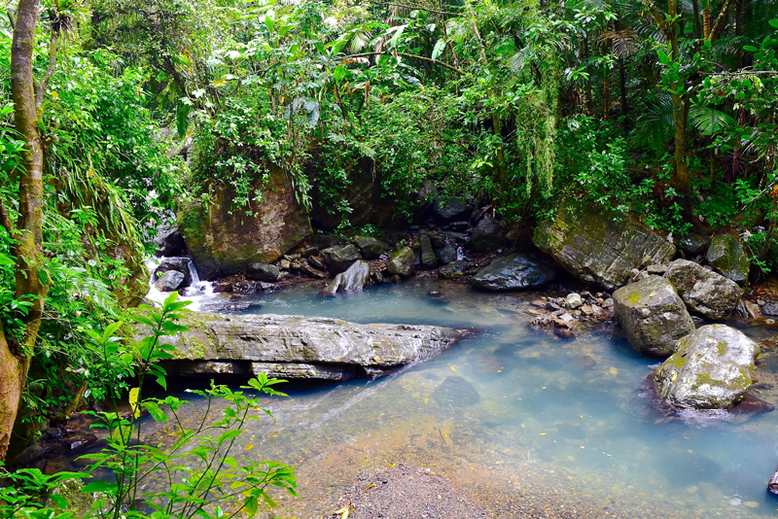 There are rappelling, caving and zip lining activities in towns like Camuy, Orocovis, Luquillo and Caguas. There are haciendas in the mountain area. Yes, this area needs more development but has improved ages in the last 10 years. Seems like the "Not So Great Things" are not so great because they did not meet your expectations or the places were crowded. I get that. But, like you said, it is a matter of opinion. Your experience may have been different if the crowds would have not been there. That is an universal problem. Cities like Venice or Barcelona are chock full of tourists. Some like them, others don't. 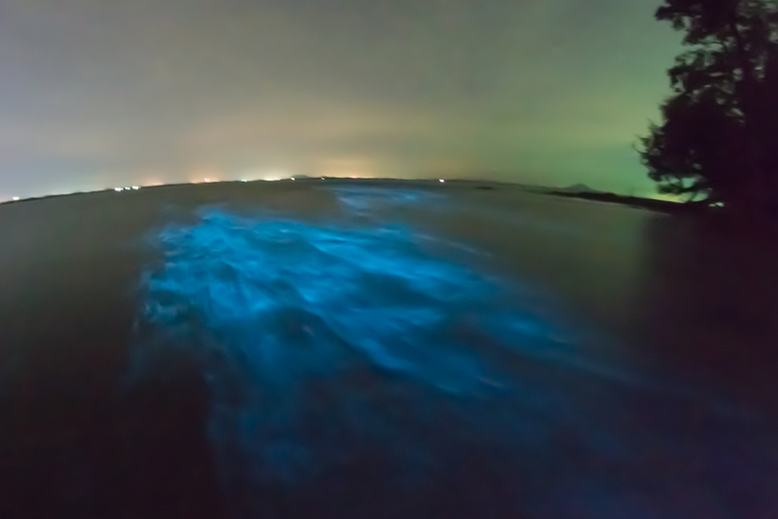 With respect to the Biolumiscent Bay and for what I have read, the picture you show in here has been digitally altered. 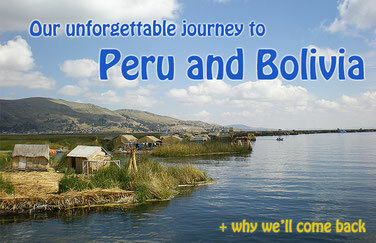 They use photos like that to market tours. The light produced by the organisms is almost impossible to capture with a camera. 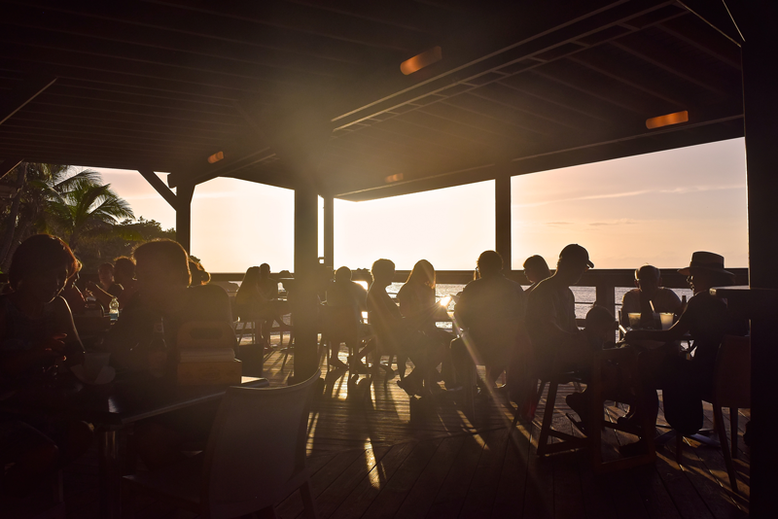 The experience in La Parguera or Vieques is way better than in Fajardo (this bay has been affected by the development in the area). Overall, I am glad you were able to enjoy most of your time on the island. It was interesting to read about your experience. I agree SO much with Ruth! BTW, The Yunke National Forest is not the Amazon. 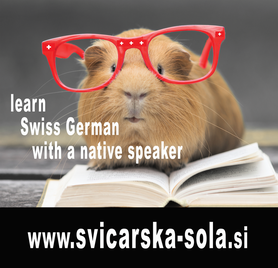 You will probably "special animals", like small lizards or tropical frogs. The same happens with plants, they are special but you really would not know how to identify them. I encourage you to make some research first. 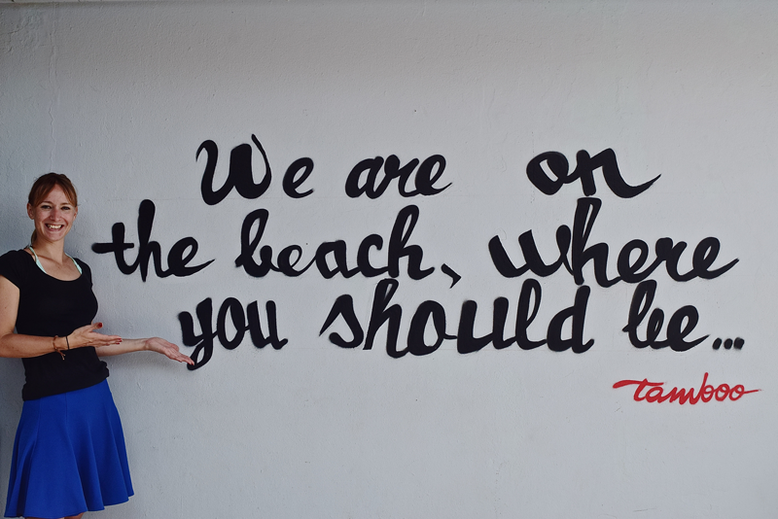 And you chose to go to Isla Verde, that is an awful beach to go. Again, research! The blog was great. 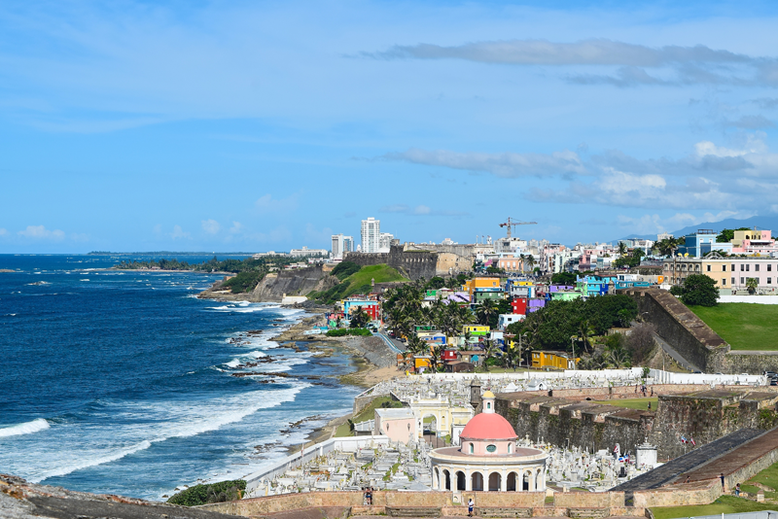 I blogged about Puerto Rico too and can completely agree. 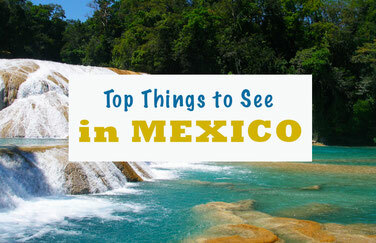 It's a beautiful island with much to offer in such a small space. I believe you should go on some excursions to have the most fun but city is more for looks and restaurants than actual things to do. First of all, its always worth going to Puerto Rico and we don't need white people to validate that. Locals like to enjoy their beaches too so if the music bothers you, that is too bad. Just deal with it or go home Yankee.